If the word "peel" gives you pause, fret not. You&apos;re not going to wind up shedding sheets of skin from your face. After a while you&apos;ll just notice brighter, smoother skin. 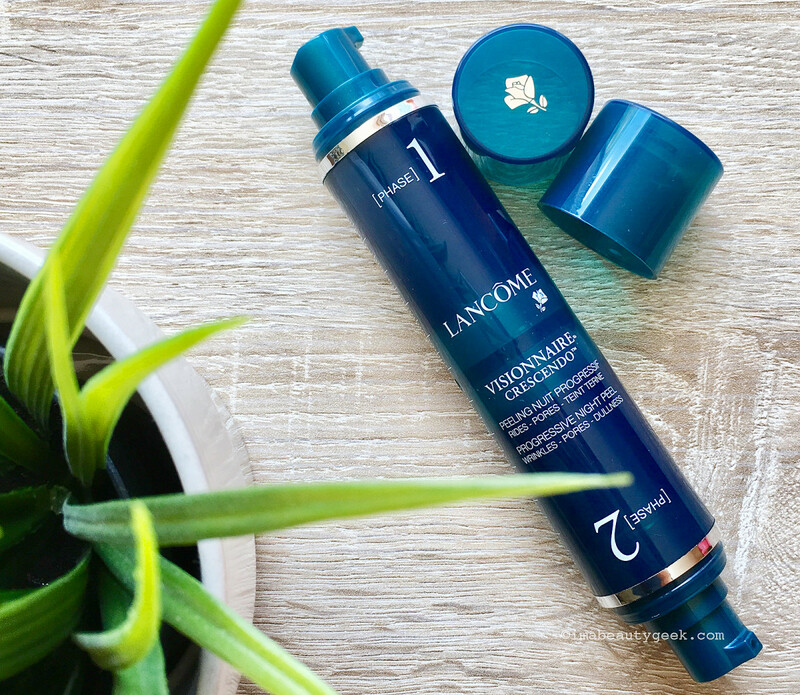 If you&apos;re already using an exfoliating toner or liquid as part of your daily ritual, Visionnaire Crescendo replaces that. If a chemical exfoliating treatment isn&apos;t already part of your daily skincare, this is an interesting introduction. 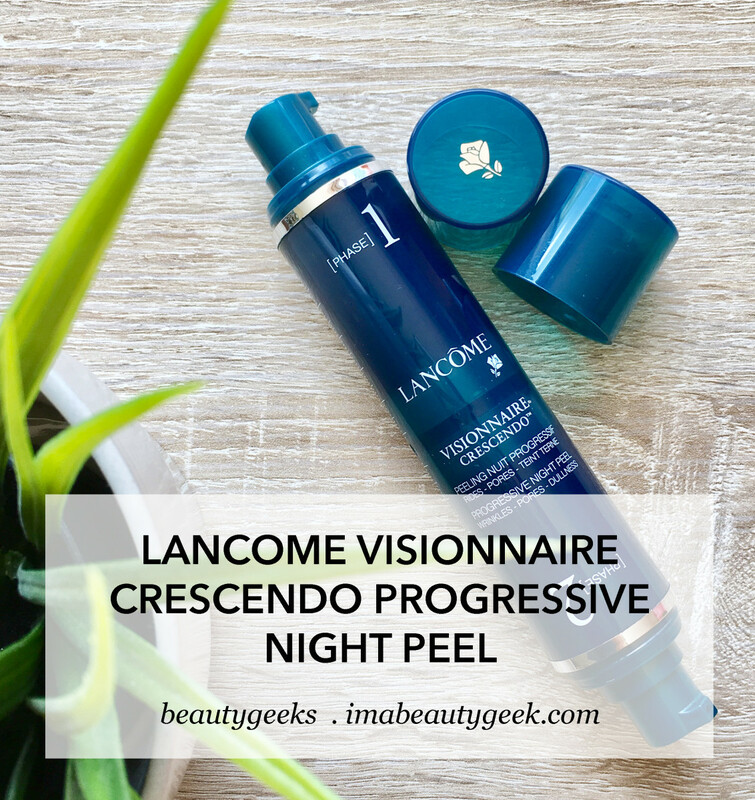 A two-phase set-up, Lancôme Visionnaire Crescendo Progressive Night Peel ($95 CAD and $75 USD at sephora.com) features two formulas designed for two weeks of use each – four consecutive weeks in total – packaged in a double-ended, air-locked bottle. The first part is a mild smoothing treatment you use at night for two weeks; the second is a more intense daily smoothing treatment that you use at night for the next two weeks. If you decide to continue with Visionnaire Crescendo, step 1 and step 2 function in a wax-on wax-off sort of routine. 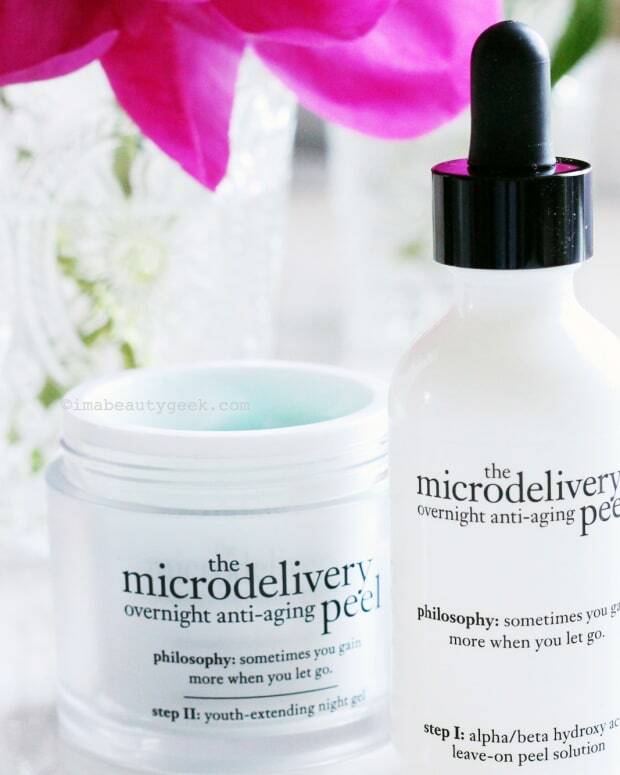 Gentle maintenance for two weeks, more intense exfoliation for two weeks, repeat. Step 1 = 5% fruit acids and an extract from quinoa husks. Step 2 = 9.5% glycolic acid and 5% salicylic acid. 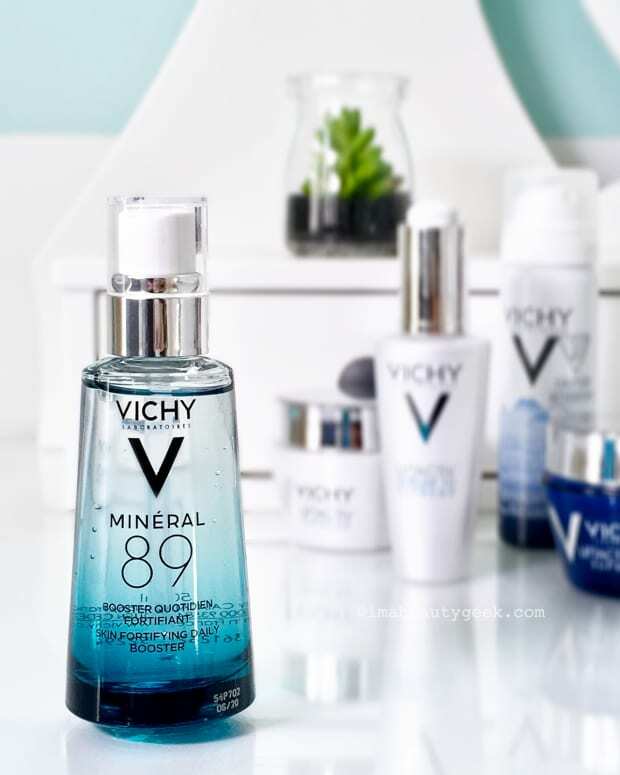 Apply on cleansed skin, before serum and night cream. Complexions that are new to daily AHA toners may see a difference in smoothness and brightness after the first two weeks; after the second two weeks, the difference should be clear. Note: you&apos;re probably already using a minimum of SPF 15 daily, but sunscreen is especially crucial when a chemical exfoliant is a regular part of your regimen. Wanna try it? If you&apos;ve already enjoyed your 18th-birthday cake and you live in Canada, enter below! We&apos;re accepting entries (as many as you like) until June 8th, 2017, at 11:59pm EST.